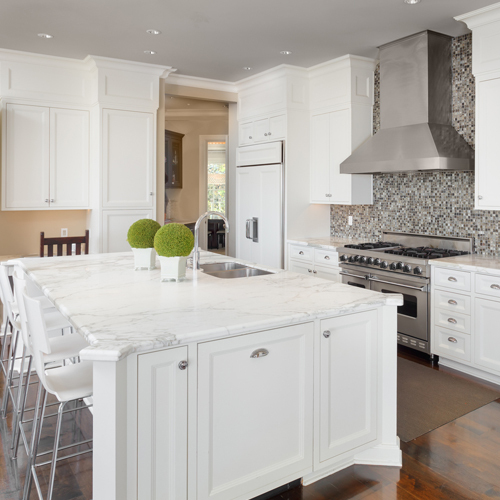 While everyone swoons over marble countertops, quartz alternatives can produce the same pleasing aesthetic at a fraction of the cost. Clocking in at around $75 per square foot (including installation), if you have less than 14 square feet of countertop space, pop in a top and just listen to the oohs and ahhs at the open house. 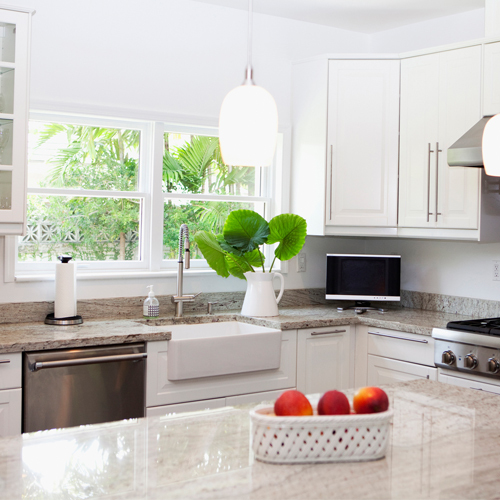 Accidental bowl bashings, aggressive door closing and a particularly active pot of spaghetti sauce have all taken their toll on your once-pristine white cabinets. 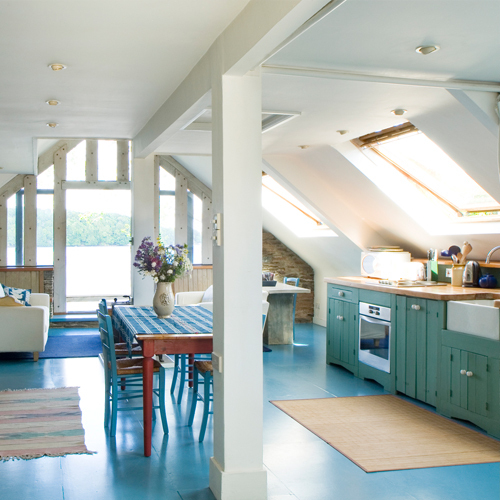 Bring them back to their former glory (or opt for a new trending paint shade) with a professional repaint. Install some fresh modern door handles to really sell the refreshed look. While there isn’t budget to replace all the appliances, selecting one to upgrade will up your payout. 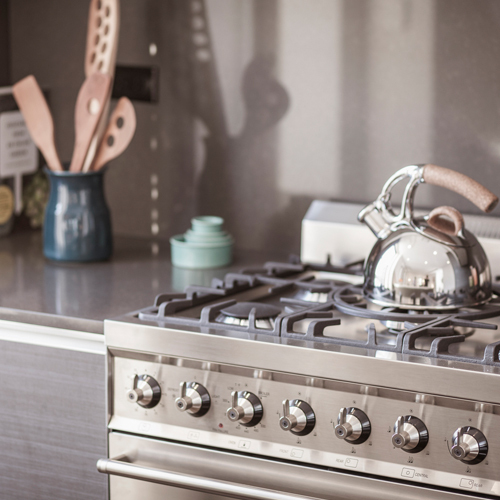 A fridge with lots of bells and whistles is a solid choice, but so too is a gas range with fancy burner options. In addition, installing a dishwasher where there wasn’t one before is a surefire winner! Whichever you choose, make sure it fits in with the remaining un-upgraded appliances. Whether the kitchen floor is worn-out hardwood or outdated linoleum, giving it a refresh is a smart move if you want to move the property quickly. There are so many affordable choices out there these days such as cork, composite or ceramic, that there’s sure to be one for you and your budget. Sure, we’re all able to pour paint and move a brush left and right, but when you want a room to have that “wow” factor, call the professionals. Pro painters can make suggestions on wall treatments that will add visual value to your kitchen…without having to scrub a single drop of paint off your hands. While painting scraped-up cabinet doors is definitely a frugal option, going a little deeper and replacing the doors altogether is also up for grabs. Mixing and matching solid and glass-paned doors can instantly give a tired kitchen a modern feel. 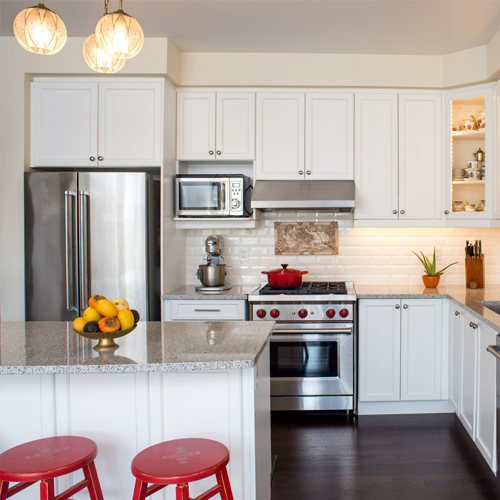 Switching up outdated backsplash tile for something super popular right now elevates the whole kitchen. 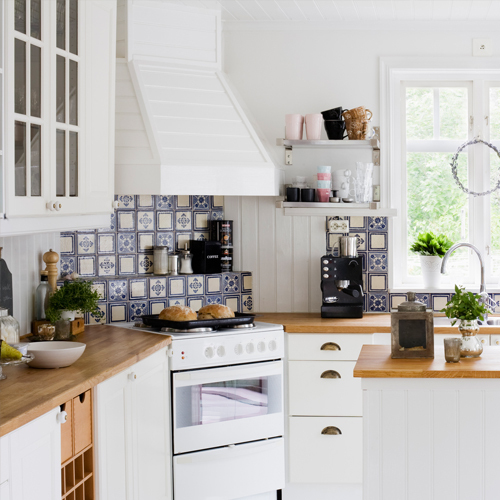 Think tiny barely-blue square glass tiles or white herringbone subway tiles with grey grout and you’ll be on track to take home that top dollar. 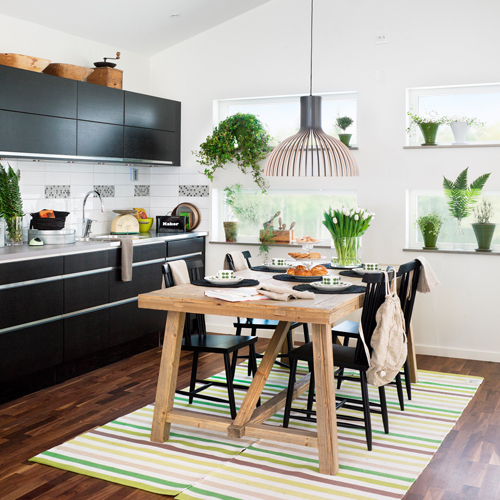 You may also like 7 Unexpected Spots in the Kitchen You Need to Clean Before a Showing on HGTV.ca.